Dungeon Defenders Available on Android! Dungeon Defenders, the first Unreal Engine game for Android, is available for purchase in the market for $2.99 (holiday sale) and according to early reports, is pretty stunning if you have a powerful enough phone. 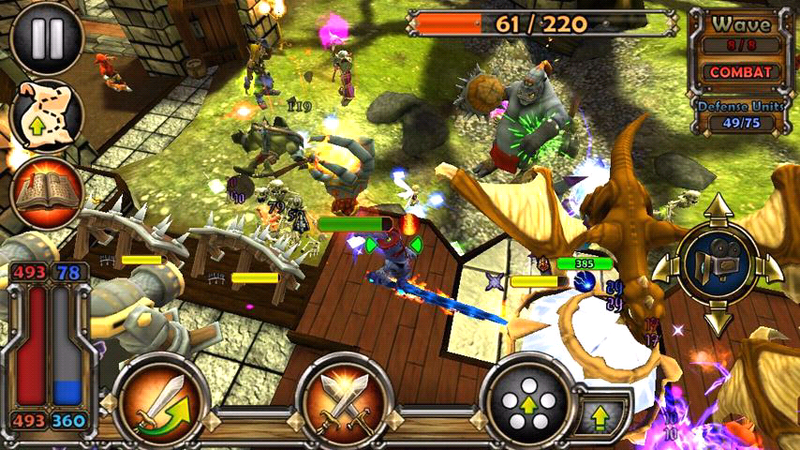 DD is a 3D action-RPG/tower defense game that is clearly leading the way in the gaming department on mobile phones. Our buddy Taylor, over at Android and Me took Dungeon Defenders for a quick spin this weekend and came away impressed. For our serious gaming readers, this would be a good use of that X-mas money weighing down your wallet. After buying, you are required to download an additional 600MB worth of game data. Normally this isn’t a big deal, but that much data will likely push you past the 15 minute refund window which means no test drive on this bad boy. A list of compatible devices is available in the description and I highly suggest you read it to see if your device can handle this type of a game. They recommend Galaxy S devices, Galaxy Tab, Nexus S, Droid X, G2 and Droid 2. Original Droid members should proceed with caution. Monday Poll: Thoughts on the Name HTC Thunderbolt 4G?